Sophomore Stephen Buckley will shift from running back to wide receiver, beginning with Saturday's game against Western Illinois. Northwestern will likely need to change more than just Buckley's position to revive its struggling offense. 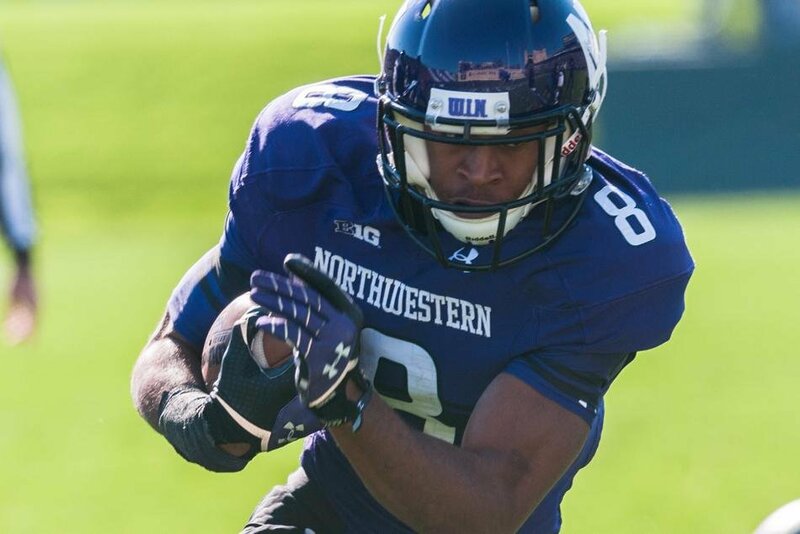 The big news for Northwestern football this week: Sophomore Stephen Buckley is moving from running back to wide receiver. That’s not too encouraging for a team that’s 0-2. Buckley is a great talent who will almost certainly excel at his new position, but it’s hard to imagine he will be the difference that sparks a Wildcat offense that has averaged a dismal 4.6 yards per play this season. It’s clear that something has to change, and it seems this attitude has spread throughout the team. Coach Pat Fitzgerald admitted as much this week. “To think that we’re going to get a different outcome without changing things up would be insane,” he said. The reference to a famous Albert Einstein line is endearing, but it conveniently leaves unclear what, exactly, is changing. Most storylines this week have focused on the apparent greater intensity of practices, painting Fitzgerald as the undeterred drillmaster. Fitz is right, to a degree. This is a team that has been marred by bad drops on offense and repeated busted coverage on defense. Execution needs to improve, so ‘getting guys to make some plays’ would be a big step up. But, as I wrote last week, the offense is demonstrably in need of some adjusting. Play calling has been predictable and conservative through these first two games. If Fitzgerald wants his guys to make plays, he needs to put them in the best position to do so. “That crap,” as he calls it, is in fact part of the solution. Sadly, this week’s matchup against Western Illinois is sure to be devoid of answers. It’s tempting to believe that Buckley’s shift is part of some overarching offensive change that the whole team is playing extremely close to the chest, only to unleash it on an unwitting opponent Saturday. But the Leathernecks play in the Football Championship Subdivision-level Missouri Valley Conference. In their one non-conference game against Wisconsin, they were blown out 37-3. Western Illinois just isn’t very good, and NU should be able to handle them easily (heavy emphasis on the ‘should’). If the Cats have any tricks up their sleeve, surely they’re saving them for tougher and more important Big Ten contests. NU will run the same offense it has for the past two games, it will be much more successful against inferior competition, and pundits will hail the success of Fitz’s new hard-nosed approach to practice. Then the same offense will open up conference play and struggle through a difficult final nine games of the season. If Fitzgerald and his staff don’t make tangible changes, the offense won’t recover any time soon. It’s a very pessimistic view. But senior quarterback Trevor Siemian still has time to develop rapport with his receivers. An offensive line that has struggled through two games may yet find its footing. Fitz may finally figure out that the team should return — or at least catch — punts. Siemian has struggled so far this season, partially because of inaccurate throws and partially due to trouble with the team’s offensive line. The senior said Wednesday he has mostly focused on making the proper reads. But player development, especially mid-season, is never a sure thing. Football is already an incredibly high-variance sport, so the coaching staff shouldn’t be leaving anything up to chance. They need to fit their schemes to their personnel, not hope the players will fit themselves to the schemes.